Get the scoop on some great riding vacations in the US. Another wonderful week healing horses at the beautiful Bitterroot Ranch, WY. A phenomenal experience blending so many aspects of being with horses in a most incredible setting and with an instructor. Who is authentic articulate and most passionate for students and the animals. The introduction and hands on experience of Reiki was amazing and powerful experience. Participating in the Healing Horses Clinic with clinician, teacher, instructor, mentor, friend, “Anna Twinney,” was a life changing experience. I thought I looked at the horses in a manner befitting and honoring them before. After this week of teachings from Anna, her knowledge, commitment, love and passion pt enlighten others to really “see” the horse from what we as humans can in reaching out with our hearts to give back to them in thanks, gratitude and healing energy. Doing my Reiki Master taring with Anna and participating with the Reiki 1 and 2 students was the key that really unlocked and solidified what Reiki is and what an incredible gift it is to be able to offer. “Click, WOW!” Thanks, Anna for showing me the ways to an even brighter Light in Reiki! The entire program, each and every dat was a profound and enlightening experience. The course did not disappoint. It was very well rounded in balancing the Reiki learning with the horse work. Anna is extremely knowledgable and generous with her time and teaching. I really feel prepared to start the journey of Reiki and Horses. I came to Bitterroot Ranch primarily because I have an interest in anything Anna Twinney has to say and I wanted to learn more about horses, healing and healing horses. Upon arriving at the ranch, it quickly become apparent that the land, the horses and the people who are their stewards are extraordinary. I knew very little about Reiki and even less about at liberty obstacle courses, TLC and love lessons. Anna explained it all so well that my confidence grew with each passing day. I was attuned to Reiki to learn energy work and found peace in my heart I’ve never experienced. I am leaving Bitterroot Ranch feeling blessed to have met our wonderful group and spent the week with them, mentored by Anna. Zi have a greater sense of who I am and have been greatly empowered to continue my journey with the horses and healing. This week has been so incredible on so many levels it’s hard to put into words. This part of my journey has opened my eyes and heart to unlimited energy and healing that can be applied or given in all aspects of my life. It has touched my soul! I came here to learn to heal horses, but will be leaving with so much more! Thank you, Anna for sharing your gifts and giving me so much! I truly feel inspired and blessed! I was a skeptic at the start. I didn’t really know why I’d been invited or what to expect. The week of companionship, fellowship and horsemanship has taken me by surprise and left me wanting more. Thank you Anna for opening my eyes and my heart to the possibilities of life. Bitterroot Ranch, Anna Twinney and Reiki is a combination that is a unique. It is an exceptional experience on many levels. The chance to learn and practice Reiki with people and horses with Anna provides so many levels of growth and experience. I leave this week feeling complete gratitude for Anna Twinney and the horses at the Bitterroot Ranch. If you are looking for an experience to awaken your soul and your relationships with horses I recommend Healing Horses. This experience has changed my life and my horse’s life forever. You will love this work. 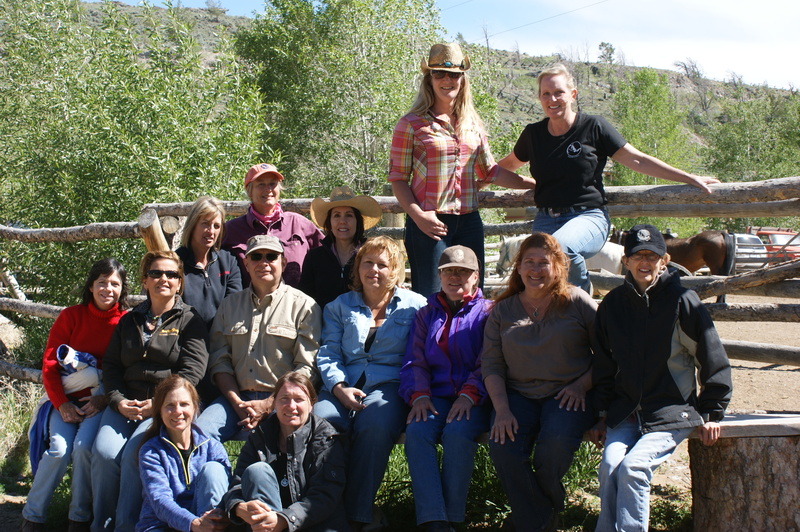 The Healing Horses CLinic with Anna Twinney at the beautiful Bitterroot Ranch in Wyoming was an exceptional week of learning. Than you, Anna for all you taught and shared with us. You brought a group of total horse loving strangers together for such wonderful lessons and experiences. You have a way with people that forms a bond of friendships in a fun filled adventure. Your gift with horses is truly amazing. And Grace Gabrielle didn’t leave a testimonial this year; but coming agian and again really says a lot about how she feels about this course.